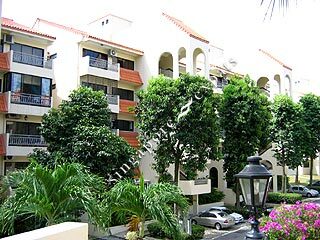 Spanish Village is a low rise Spanish-Mediterranean style condo located along Farrer Road. It takes only 5 minutes drive to the Holland Village, Botanic Garden, Tanglin Mall and Tanglin Shopping Centre. Located directly across the road is the wet market and Empress Place food centre. Nice, cosy and quiet place. Conveniently located close to Farrer Road Station. very good. A lot of facilities. quiet condo with extreme convenient location, few minutes away from Orchard and Holland village. Near food centres, market and good schools. Few minutes walk to Farrer road MRT. Old style condo means bigger size than new style !